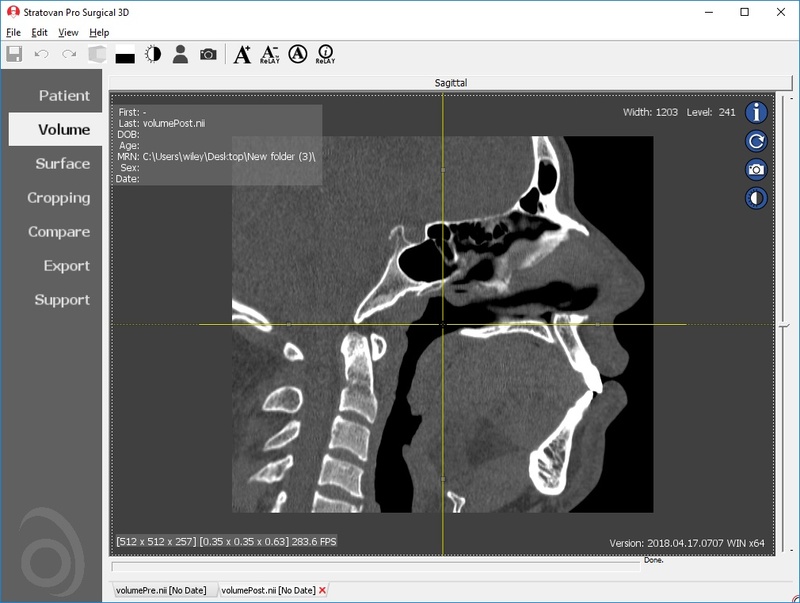 Designed for surgeons, Pro Surgical 3D makes it easy to view patient scans quickly. 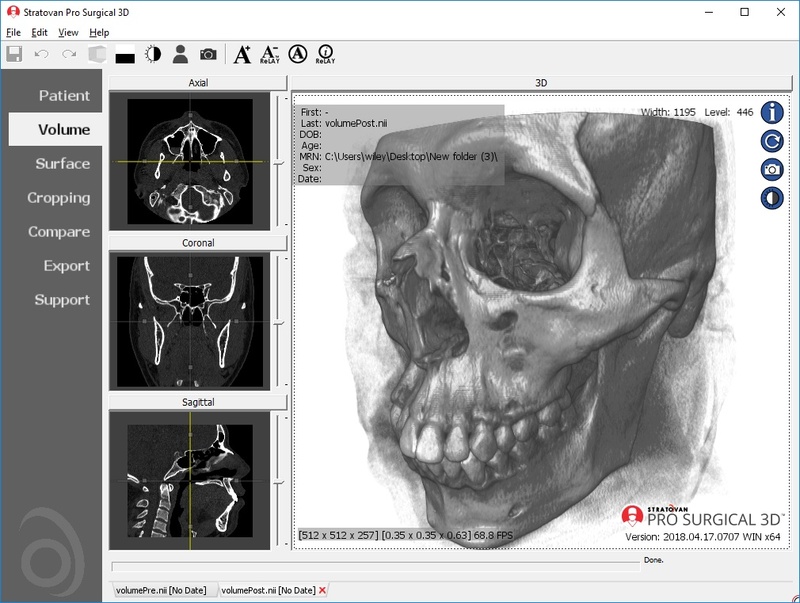 Pro Surgical 3D facilitates the optimal 3D treatment and assessment workflows based on X-ray CT and MRI scans – and best of all, it’s FREE! Everyone – including surgeons, patients and their loved ones – benefits from being better informed by the wealth of information buried within CT and MRI scans. 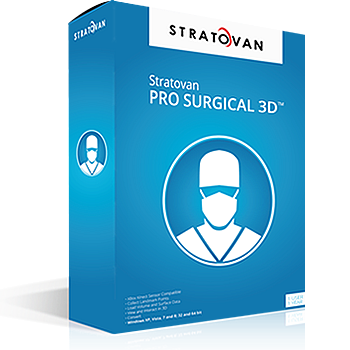 Pro Surgical 3D gives surgeons more information to develop optimal treatment plans for patients. It also helps patients and their support group better understand their medical condition and proposed treatment options. 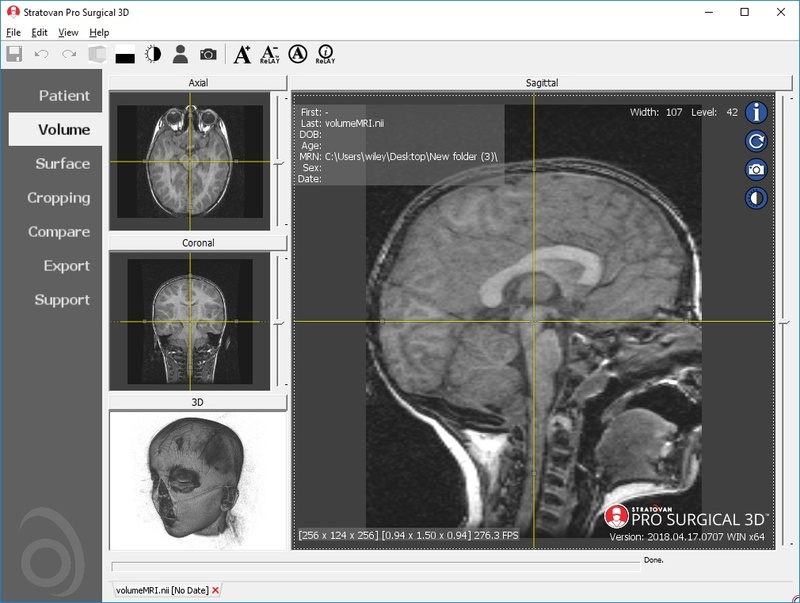 Request access to Pro Surgical 3D — Download Now! 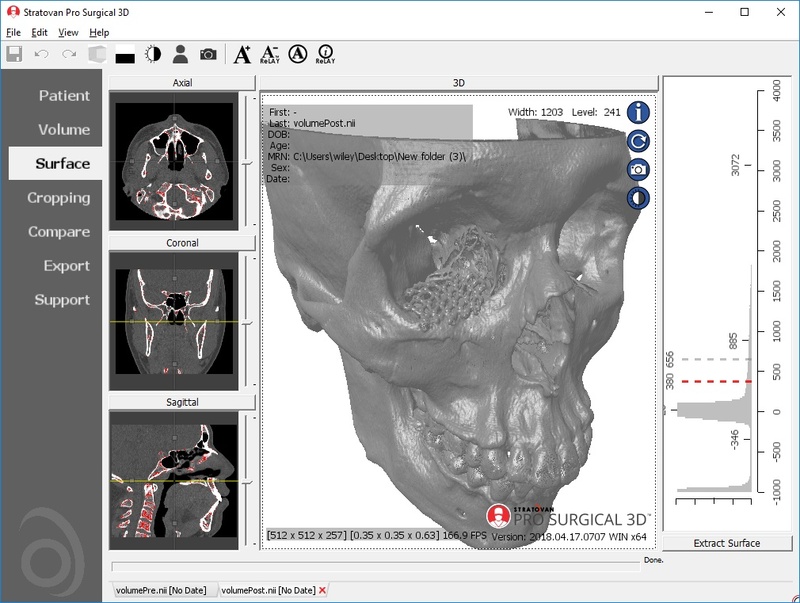 Citing Pro Surgical 3D in Academic Publications? Click Citations below. 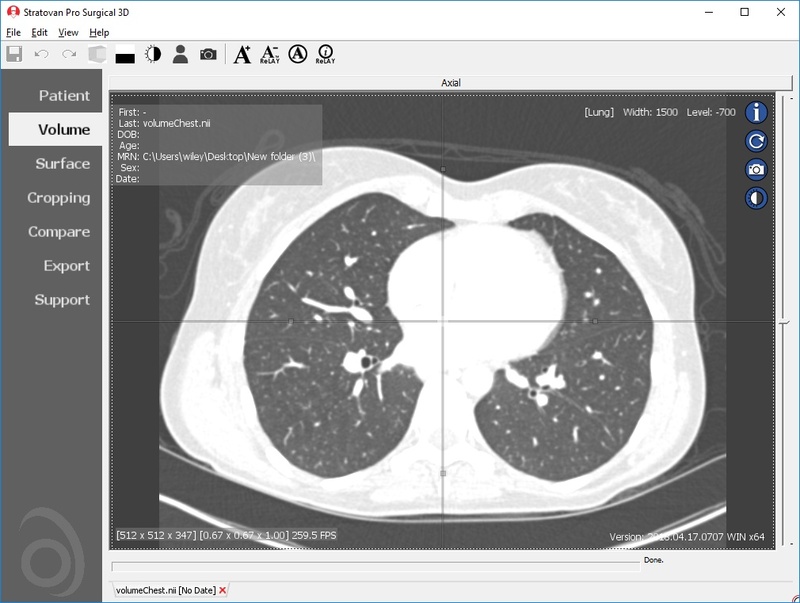 Load DICOM data directly from PACS, CD/DVD, USB, and local computer. 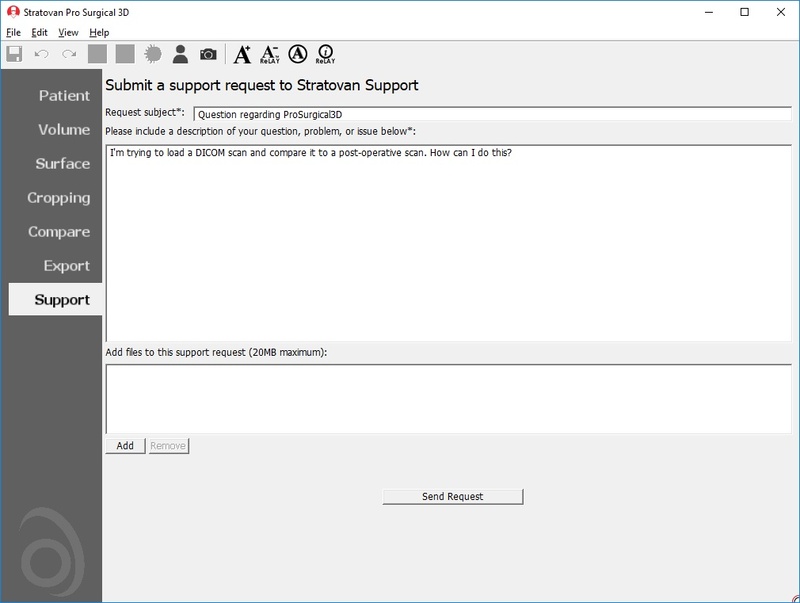 Upload DICOM data to your PACS directly from referral patient CD/DVD and local computer. Easy to use patient search to locate patient data on your PACS. 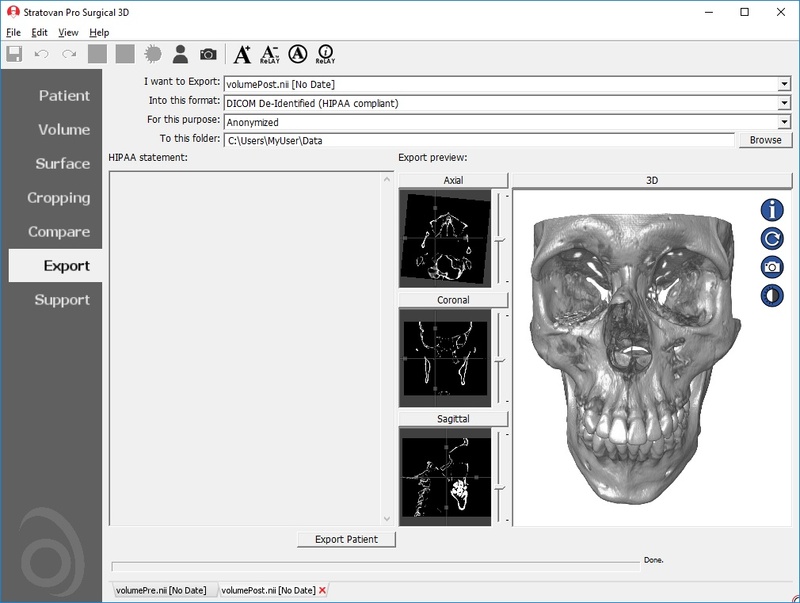 Loads common non-DICOM file formats: NifTi (.nii), Visualization Toolkit (.vtk), and ANALYZE (.hdr). Designed mainly for CT and MR DICOM modalities. Performs 3D reconstruction and volume rendering. 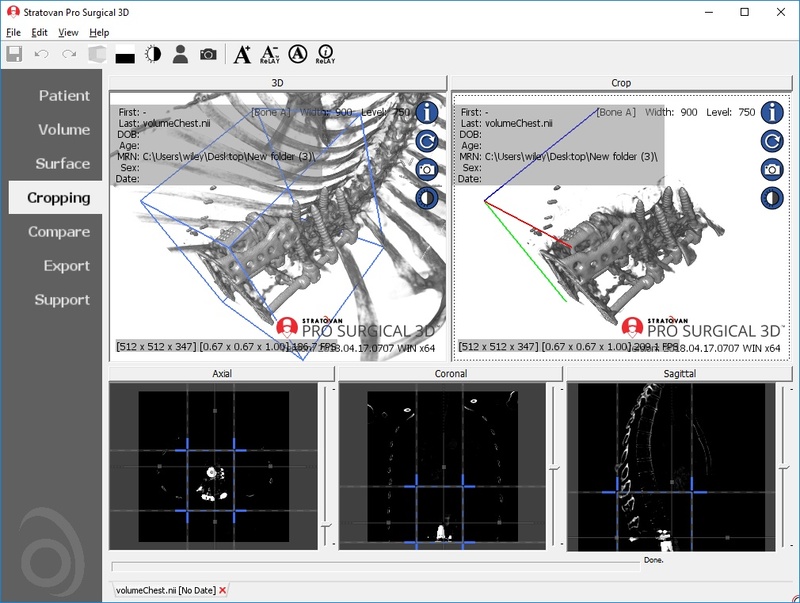 Instant and interactive surface extraction and export to STL and PLY formats. 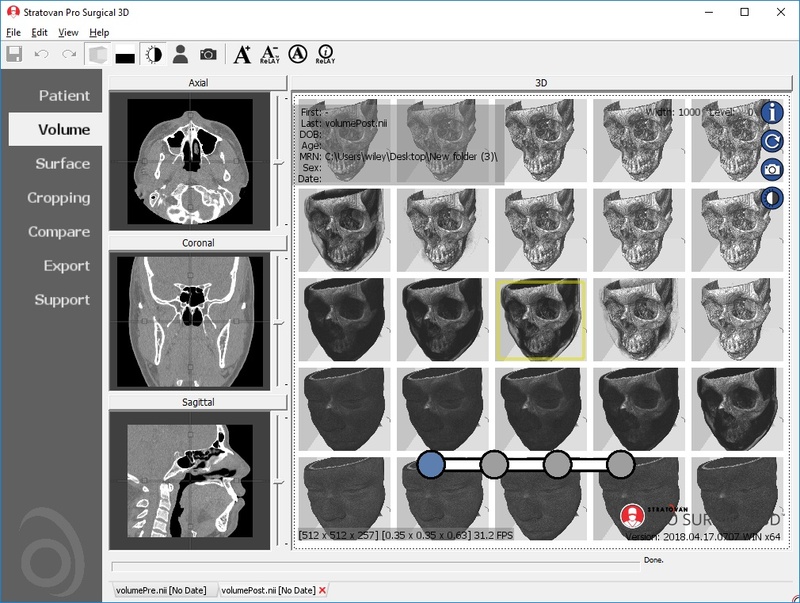 Easily anonymize and de-identify patient scans. Window/level (brightness and contrast) presets. 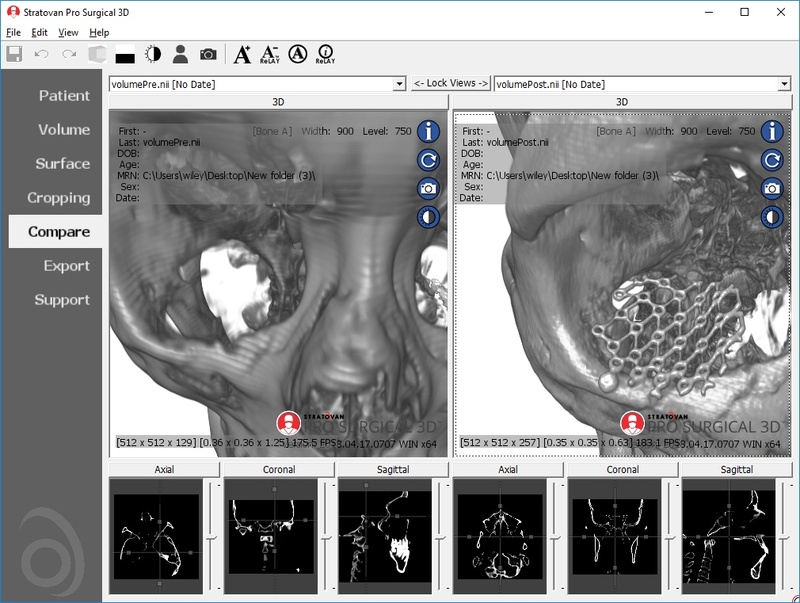 Side-by-side comparative assessment for pre- and post-operative scans.